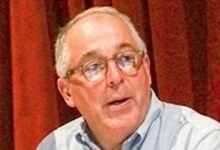 Bruce Posner is an artist, scholar, curator, and creative filmmaker whose projects have been cited as provocative, insightful, and significant to the history of motion pictures, garnering awards for excellence from the National Society of Film Critics, Los Angeles Film Critics Association and Boston Society of Film Critics. His many works in film, over 350 titles to date, are currently represented in digital editions published by Turner Classic Movies, Kino Lorber, Flicker Alley, Light Cone, Kanopy, Lobster Films, VHX and Netflix DVD. Films made by Posner and restored under his care are held in the permanent collections of the Library of Congress National Audio-Visual Conservation Center (Culpepper), Centre national d'art et de Culture Georges Pompidou (Paris), EYE Film Institute Netherlands (Amsterdam), British Film Institute National Archives (London) and numerous other museums, film archives and cultural institutions around the world. In 2001, The Whitney Museum of American Art, New York premiered his film preservation retrospective, "Unseen Cinema: Early American Avant-Garde Film 1894-1941," with a 3-month exhibition prior to commencing a worldwide tour that continues to the present day. The complete 164-film Unseen Cinema film programs played at the Centre national d'art et de Culture Georges Pompidou, Paris; Museo Nacional Centro de Arte Reina Sofía, Madrid; and EYE Film Institute Netherlands, Amsterdam as well as 25 other venues. In total over 500 screenings have taken place since 2001. The New Hampshire State Council for the Arts has designated him a Lifetime Arts Fellow.